Staples come packaged 20 boxes per case. Each box contains 5000 staples. 1/2″ Crown, 3/8″ Length. This tacker features an easy squeeze design and heat treated components for heavy-duty use. Ideally suited for use on plastic sheeting, insulation, moisture wraps, and mesh on netting. 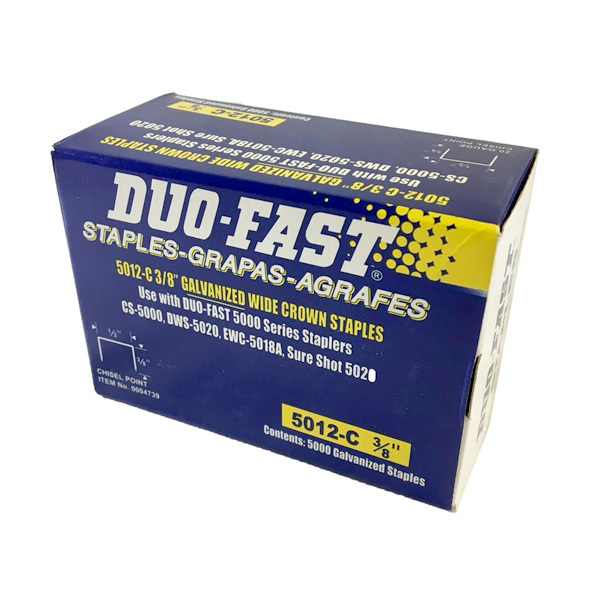 Uses Bostitch STCR-5019 1/4" and 3/8" staples. Staples come packed 20 boxes per case. Each box contains 5000 staples.